The purpose of the Hospitality Operations Certificate program is to provide students with the skills necessary to follow a career path that could lead them to a variety of hospitality opportunities. Participants will gain valuable knowledge that reflects the most current practices and trends in today's hospitality industry. 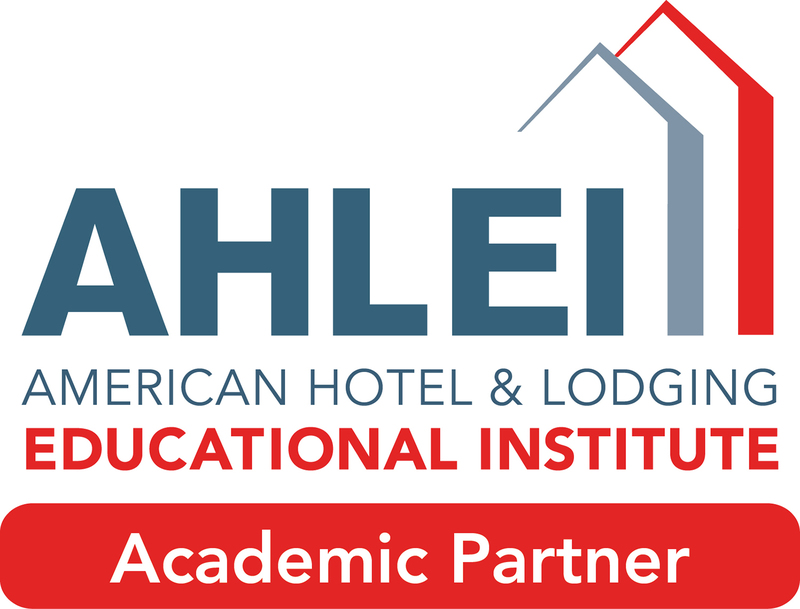 Brighton College has partnered with the Educational Institute of the American Hotel and Lodging Association (AHLA) to deliver a well-rounded curriculum that focuses on hospitality operations. The certificate program is composed of Business Communications, Job Search as well as Hospitality elective courses that enable students to choose the right courses for their desired occupation within the hospitality field. This certificate program is instructor-led, allowing students to navigate quickly through the material. The curriculum includes experiential lectures and workshops facilitated by the experienced instructors. Food Safe and Serving It Right are also required for both practicum placement and graduation. Students earn certificates in each of the AHLA courses successfully completed as well as a certificate in Hospitality Operations from Brighton College, once all program requirements are met. The following chart shows potential earnings in the Hospitality Management industry. Click on an career title to show or hide salary wages. You can compare earnings this way! The Hospitality Operations certificate consists of 8 courses. Most are a combination of experiential classroom based lectures, workshops and seminars, small group discussions, role plays and computer labs enhance the theoretical material. Students will be arranged for either out-of-house or in-house training to complete Food Safe and Serving It Right. Duration: 100 hours, 4 weeks. This course is designed to provide students with the principles of supervision as they apply specifically to the hospitality industry. This course will cover onboarding new employees, procedures for managing conflict, how to motivate staff, the role of technology and social media on recruiting and reference checks, the cost and benefits of training as well as how to use technology for employee scheduling. This course provides students a comprehensive introduction to the many entities that make up the Hospitality Industry, as well as an overview of today’s hot issues including but not limited to ethnical challenges and management concerns. The course features information on green hotels and restaurants, hotel technology, application of management techniques as well as how internet, e-mail and social media have changed the hospitality marketing. This course shows what it takes to direct day-to-day operations of this department, from big-picture management issues to technical details for cleaning each area. The content reflects the extensive changes in the hotel industry such as energy management, sustainability and "green" housekeeping (microfiber mops, reusing linens/towels, chemical use, green lighting, etc.). This course is designed to provide students with the principles of housekeeping management as they apply specifically to the hospitality industry. This course will provide students with an overview of the physical plant of a hotel or restaurant, as well as strategies for how to work effectively with the engineering and maintenance department. This course presents a systematic approach to human resources management in the hospitality industry. Students will analyze contemporary issues and practices as well as employment laws that have an impact on the way people are managed. This course will give students a basic understanding of the management process in food and beverage operations. All aspects of food and beverage operations are covered, including organization, marketing, menus, costs and pricing, production, service, safety, and finances. This course is designed to provide students with a solid background in hospitality sales and marketing. The main focus of the textbook is on practical sales techniques for selling to the targeted markets. Accounting operations in today’s hotels and restaurants require specialized knowledge and skills as well as an understanding of the interrelationship of business principles and accounting. This course provides a basis for understanding accounting concepts and procedures and how they relate to the processing of hospitality financial data, the flow of financial information in the accounting cycle and the financial statements produced. This course will give students a basic understanding of purchasing, implementing, maintaining and effectively managing a variety of technology systems. This course will cover applications for all operational areas as well as security maintenance for technology. Explains the issues surrounding the need for individualized security programs, examines a wide variety of security and safety equipment and procedures, discusses guest protection and internal security for asset protection, explores risk management and loss prevention issues, and outlines OSHA regulations that apply to lodging properties. This course teaches students leadership abilities and helps them develop an understanding of high-performance teams and employee empowerment. This course will provide students with an understanding of diversity and cultural change as well as prepares leaders to put management tools into action to enhance service and boost business. The program is delivered in an in-class instruction method. The program has a continuous intake model. Students can start the program with any course indicated by (*) and then complete the remaining lecture courses in any order.